I bought this for my husband, he absolutely loves it awesome gift! This hooded winter parka by Sean John is the perfect coat for your daily winter outerwear needs. 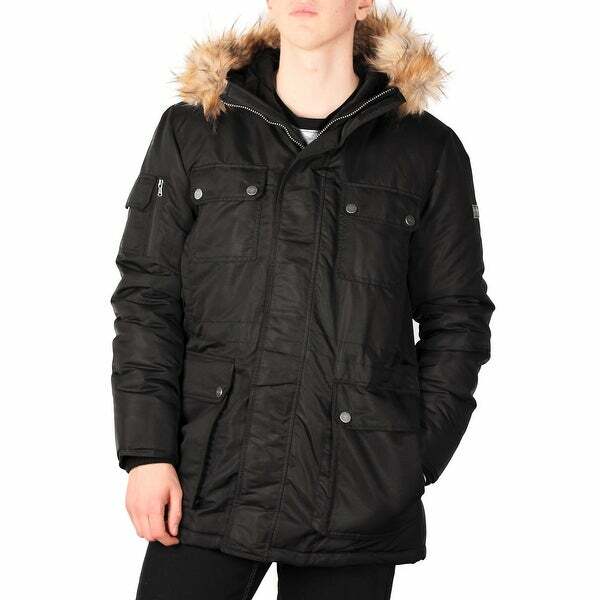 It is long parka-length to keep out the cold, and features warm polyester quilted lining. Lots of pockets both inside and out for all your gear, snap-over storm flap to cover the two-way zipper, and removable faux fur trim. This coat is made handsomely and very warm for those cold weather days. I love my coat. The zipper is definitely a issue & should be fixed by the manufacturer! Not the best product. Good quality, soft and warm.